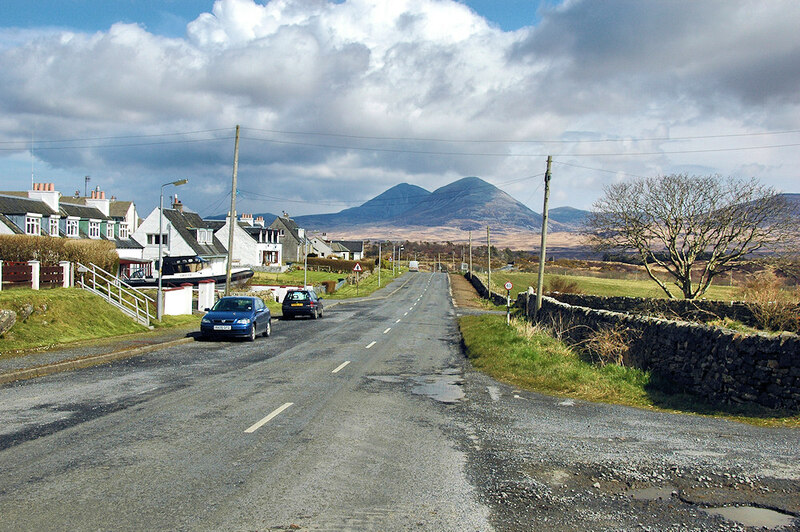 A view along the A846 through the village of Keills, it looks like it leads straight to the Paps of Jura. Of course there’s the minor obstacle of the Sound of Islay in the way (Port Askaig is just behind the trees in the distance), but I still like the thought. This entry was posted in Cloudy Weather, Landscape, Repost, Sunny Weather, Village and tagged Islay, Keills, Paps of Jura, Port Askaig by Armin Grewe. Bookmark the permalink.